FAST REPAIRS. EXPERT ADVICE. LET US PUT OUR OVER 45 YEARS EXPERIENCE TO WORK FOR YOU! AND NOW’S THE TIME TO GET THE BEST SERVICE FOR AN EVEN BETTER PRICE. CHECK OUT ALL THE WAYS YOU CAN SAVE ON OUR SPECIALS PAGE. We work hard to be the best, friendliest and most reliable Air Conditioner, Furnace and Water Heater repair and installation company in the Baltimore/Annapolis area, so we would like to know, how can we be YOUR hero today? 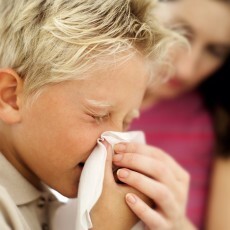 Indoor Air Quality is a top concern, especially for customers with allergies, asthma, or other upper respiratory issues. We can help! We are proud of what our customers are saying about us! But don’t stop here, see what our customers are saying on Yelp, Google, Facebook, and Home Advisor. I have several rental properties and Powell & Turner is my “Go To” company. Absolutely the most professional company I have dealt with in a very long time. They pride themselves in making you a priority no matter how large or small your job is. Best prices and the most courteous of technicians. A++++ and will recommend to friends! I have been dealing with these guys for a couple of years now. They keep both my heating and air conditioning in shape for the season. At no time have I ever received less than stellar service. I depend on these guys. You can too! We called several companies for estimates before choosing Powell & Turner. The experience with them was very smooth since the beginning. Wayne was very professional during the first visit, provided very useful information and answered all our questions… the reasons that made our selection an easier one. He has been very responsive during the whole process, even after the work was completed. 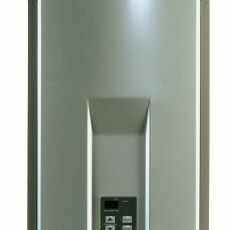 The system was installed about seven weeks ago and so far it is working great. I can say that it all comes down to great customer service and a job well done. Powell & Turner exceeded our expectations! Wonderful and if I could give Powell & Turner 10 stars I would. AC went out late Saturday evening and it was hot. Long 4th weekend and I was in [a] panic to get fixed. Mr. Turner came out next day on a Sunday and fixed it. Very knowledgeable and very nice to deal with. See more reviews here or on Yelp, Google, Facebook, and Home Advisor. Need an Air Conditioner, Furnace, or other HVAC Repair or Replacement in the Baltimore, Maryland Area? 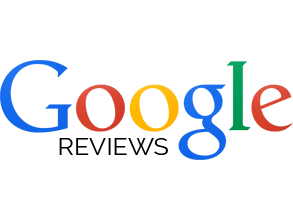 Powell & Turner Heating & Cooling, Inc. is a premiere Air Conditioning and Furnace diagnostic, installation, maintenance and repair company located near Glen Burnie. We have been serving Anne Arundel County, Baltimore County, Howard County, Annapolis, and the surrounding areas for over 45 years, and we are proudly accredited with the Better Business Bureau. 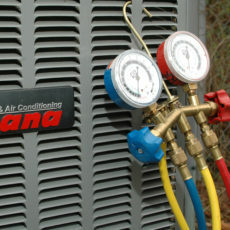 We repair and replace Air Conditioners, Gas Furnaces, Oil Furnaces, Heat Pumps, Water Heaters, Ductless units, and Boilers. We also provide maintenance, cleaning, and tune-ups . We serve the greater Baltimore and Annapolis area, including Glen Burnie, Pasadena, Odenton, Severna Park, Crofton, Columbia, Ellicott City, Crownsville, Gambrills, and many more! 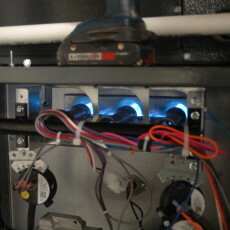 Why choose us for your Air Conditioner or Furnace replacement, maintenance or repair? We offer Upfront Pricing so that you know the cost of your repairs upfront, and we will wait for your approval before doing any work. We never charge extra fees for overtime, weekends or emergency service. We understand that your time is valuable. We always give solid appointment times, not appointment windows, so you are never sitting around waiting for us to arrive. Our installations estimates are always free. 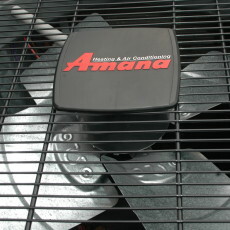 We offer a FREE 2 year Maintenance Protection Plan on our HVAC installations. Our Air Conditioner and Furnace repair technicians undergo extensive background checks and are guaranteed to be professional and courteous. We give our customers the best warranties and the most comprehensive satisfaction guarantees in the business.